Condition monitoring is considered highly complex and always associated with high investments. Not so with IO-Link. How IO-Link makes it easy for you to set up a monitoring network that is independent of the machine control system is the subject of this article. In other words: Here you get your “Condition Monitoring Starter Kit”. Befor we talk about how you can build a basic condition monitoring-system in your production, we have to explain what condition monitoring means and how it works. What is the difference between condition monitoring and traditional methods? Conventional inspections of machines and plants take place at regular intervals. This means that an inspection takes place even though it is not (yet) necessary. In the opposite case, an inspection would be necessary, but due to a lack of knowledge about the condition of the plant, it is not carried out. With this method, neither long-term developments nor short-term or temporary events can be recorded. Condition monitoring, on the other hand, captures status information constantly and in real time. It allows the recording and complete documentation of long-term and also abrupt as well as transient condition changes. Possible failures can be detected early and the costs can be reduced compared to longer failing systems. Standard parameters of condition monitoring are temperature, vibration, position, level, humidity, frequency. Condition monitoring allows maintenance during the operation of a plant by permanently monitoring the condition of the plant. By minimizing downtime and deploying personnel in a more targeted manner, costs can be significantly reduced. You can implement CMS in different ways. These solutions can be divided into proprietary solutions, i.e. linked to a system or a manufacturer, and open source solutions. The latter enable the combination of hardware and software from different providers. The advantages of these open source solutions are scalable concepts, a large selection of manufacturers and components, and lower license fees. The communication standard IO-Link supports open source solutions. With IO-Link, different process data can be transported from the sensor level to the contorl level. The following components demonstrate how easy it is to assemble a CM system for industrial applications. The core component is the IO-Link master, which can be used to set up a monitoring network independent of machine control. This provides data from the field level to the gateway of your choice and thus enables reliable condition monitoring. If you additionally use intelligent sensors, you will obtain even more detailed results through continuous diagnostics. Intelligent Heartbeat®-Power Supplies from Balluff with IO-Link interface calculate their remaining lifetime based on the already used life and the load situation, to report this to the control system. Based on this prediction you can replace the power supply before it breaks down. 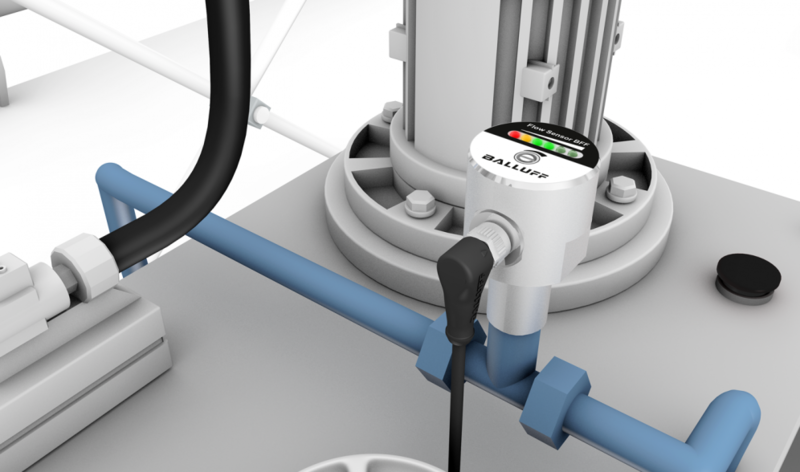 Voltage and current can be read via IO-Link as well and give feedback on the condition of actuators connected to the system. Flow sensors: Sensors such as the thermal flow controller BFF0001 detect a decreasing pump performance or a clogging filter. This filter, which can be specifically cleaned or replaced above a certain limit. Pressure sensors: They detect leakage in pipes, thus detecting a loss of liquid and enabling specific maintenance. Temperature sensors: The sensors continuously measure the temperature of a motor, for example. 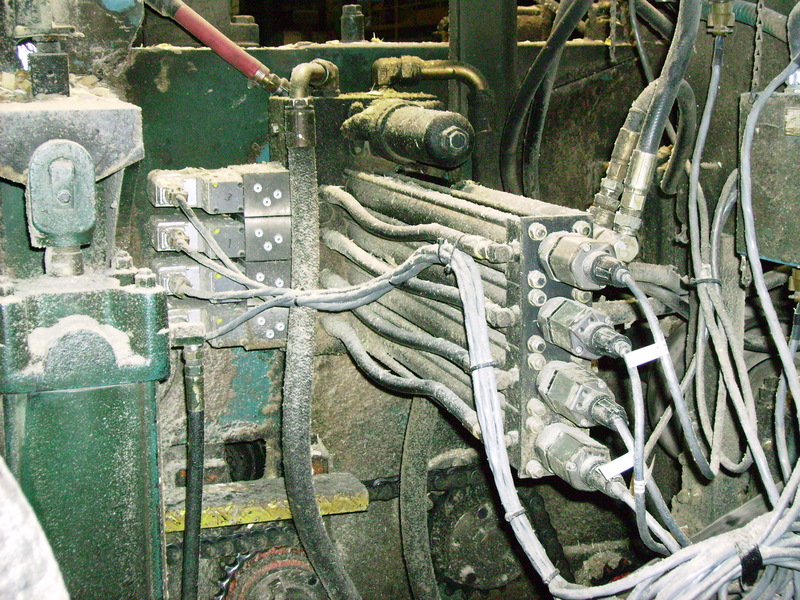 If the measured temperatures deviate from the specified operating temperature, countermeasures can be taken to prevent machine downtime. Sensor technology with self-diagnosis: The BOS 21M ADCAP optoelectronic multifunction sensor, for example, records operating conditions, collects and processes information, and via IO-Link delivers far more data than just the switching signal. Thanks to its built-in diagnostic function, it detects irregularities such as contamination or frequency irregularities at an early stage. 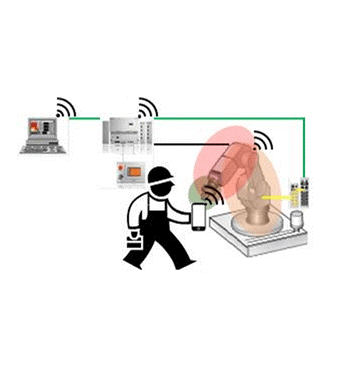 Network modules, such as the Balluff IO-Link master with Profinet and Ethernet/IP, collect the field level signals. Any computer in the connected network can exchange data via the Balluff Master’s integrated web server. Raspberry Pi or similar: A commercially available Raspberry Pi receives the data from the evaluation unit and processes it further. The received data can be visualized and archived on the computer unit using software. Sensors and actuators can also be controlled and parameterised. Windows PC: Connection to a personal computer with Windows operating system is also possible. Advantage: The familiar Microsoft environment with programs such as MS Excel. Server (virtual machine): You can use existing servers as a gateway, allowing access from the entire network. NodeRed (Software): The web-based programming tool handles data processing and visualization in one. With the advantage that many interfaces to cloud services, databases, hardware, OPCUA and many other APIs are served. The graphical development tool makes it possible to build individual dashboards according to the modular principle. NodeRed is also an open source software for which no license fees are incurred. The NodeRed server can, for example, be started on a Raspberry Pi. Microsoft Excel/Microsoft Power BI (Software): With the probably most well-known calculation program Excel you can create simple Dashboards. You can use Power Query to receive/request data from the IO-Link master. Power BI, on the other hand, can be used to design professional dashboards. The Balluff SmartLight stack light can be parameterised via IO-Link and, thanks to its various modes, is ideal for visualising process states. For an easy introduction to condition monitoring, we also provide you with a video. Here you can see how easy it is to set up continuous condition monitoring via Microsoft Excel using IO-Link components and a Windows-based computer. Programming knowledge is not necessary. How do you implement condition monitoring in your company? What experience do you already have? Please feel free to tell your opinion and experience into the comments.